Your first decision will be selecting your “Primary Color” which will determine the outer look of your website. Choose between 12 carefully crafted color themes. Then select a color for all of your content areas from these 12 colors, as well. Pick the perfect pair of colors for your brand. After that, it’s time to finish it off with a accent color; this can be an color you choose from the color wheel and will be applied in a few of subtle areas throughout your website. Additionally, Swagger allows you to choose between a boxed and stretch layout. If you’re using the boxed layout, you’ve got full access to WordPress’s built-in background control at Appearance > Background. Go to the Templates page and create a new custom template. 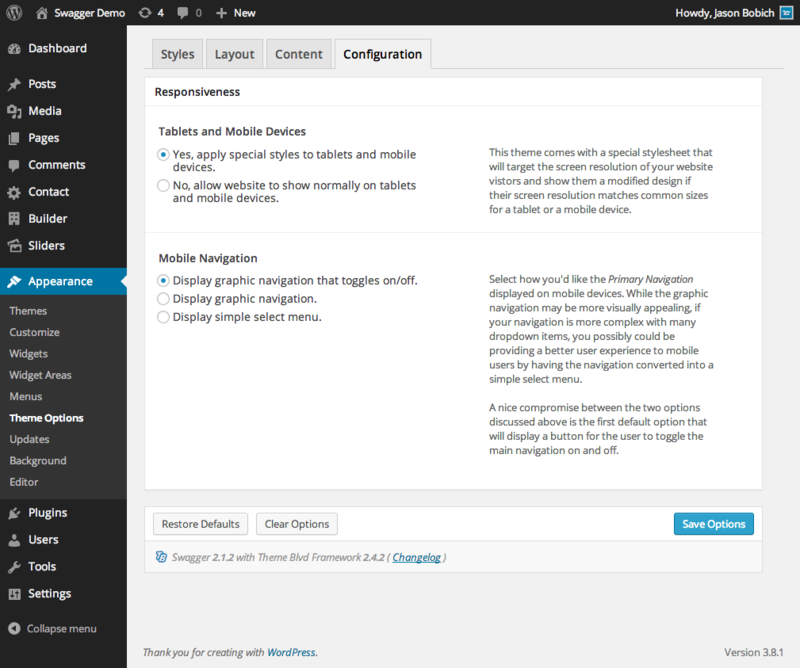 Use “Swagger Homepage” as your template’s starting point. Configure your element settings, including selecting your custom slider in the slider element, and save the template.